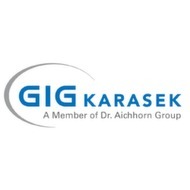 Also in the field of drying GIG Karasek provices a wide range of conventional dryer technologies. Get these systems in heat-sensitive products to their limits, the successful Thin Film Evaporator principle ensures gentle processes. Based on their wealth of experience and knowledge of the separation technology, our experts realize powerful vertical and horizontal Thin Film Dryer, convincing both economically and process technology. For individual results, tailored and at market not available, our technical center provides the ideal R&D environment to cover incoming tests etc.. The product is distributed continuously over the entire circumference of the heating wall. Using special wiper elements the wall contact is renewed constantly and the product stream simultaneously transported. 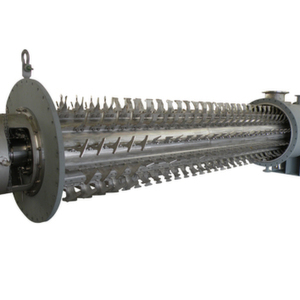 The blades do not touch the heating mantle, but prevented crusting or clogging of the heating surface by massively built, arranged with defined gap wiper elements. These wiper design allows liquid feedstock through to powdered dry up. The various units can be used both individually and in combination, and the operator can thus benefit from the advantages of different types of evaporators.